Home / Modern Pest Blog / Why the Fuss over Fire Ants? Why the Fuss over Fire Ants? Imagine it’s a beautiful summer day in New England- the sun is bright and warm, and perhaps there’s even a faint coastal breeze. You’re playing with your children outside when suddenly you feel sharp, painful stings all over your leg. You look down, expecting a hornet or wasp, and see your leg covered with tiny red ants. Unfortunately, you’ve just found out the hard way that you have European Red Ants. What are European Red Ants? European Red Ants, also known as Northern Fire Ants, are a highly-invasive ant species that are becoming increasingly common in the Northeastern United States, particularly along the coast. These ants are active during the summer months and often are found under rocks or pavers, in the woods, or nesting in grassy areas. Northern fire ants do not construct mounds, so there is little warning of their presence until they attack. European red ants may be tiny, but they pack a heavy punch. They attack as a large group, so chances are you’ll be stung multiple times. Their sting is comparable to a hornet and is accompanied by lasting soreness and a painful welt. In some cases, stings have led to severe allergic reactions. These nasty little ants are equal-opportunity attackers. They will aggressively swarm anything that disturbs their nest: adults, children, pets, or livestock. When European red ants are present, daily life turns into a struggle with ant avoidance. What can you do to make sure that these ants don’t destroy your summer fun? As European red ants continue to spread, combatting them has proven difficult. These ants have no known predators and are a threat to native insects. Firmly established colonies are almost impossible to eliminate. So it’s important to focus on reducing the spread and colony size when possible. When dealing with a highly invasive species, the single most important thing is to limit the spread. The dramatic increase in new infestations over the past fifteen years has been caused by humans unknowingly transporting ants from an affected area to new locations. Ants can hitchhike in infested potted plants, bags of soil or compost, or in other landscaping materials. 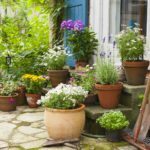 It is crucial to thoroughly inspect these materials before using them in your yard. If you suspect the presence of red ants on your property, take great care to limit the chance of inadvertently moving ants to a new location. Avoid gifting potted plants to friends or taking firewood with you when you go camping. If you purchase plants or bags of mulch and discover a nest inside, notify the nursery you purchased them from. If a colony becomes established in your yard, chemical treatment will be required to limit the population. Modern’s very own entomologist (insect expert), Mike Peaslee, developed a baiting system that has become the most esteemed and successful treatment for European red ants to date. 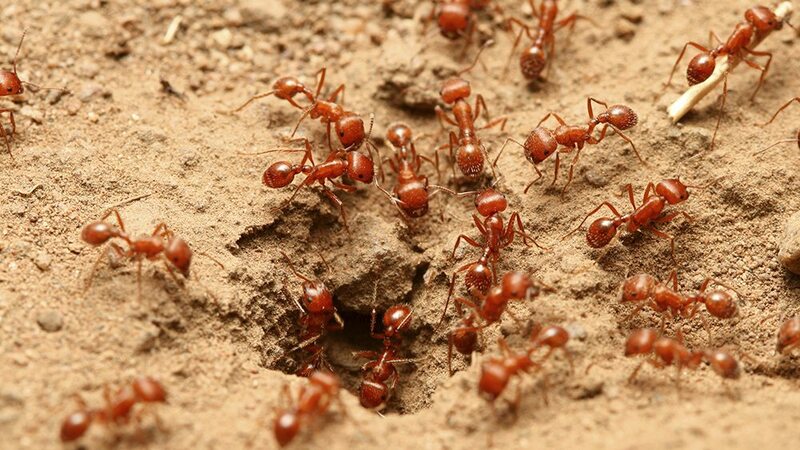 If northern fire ants are giving you grief, give Modern Pest Services a call. One of our Service Managers will come to your home for a FREE inspection and will develop a treatment plan for your property. Modern is currently offering $25 off your first fire ant service, contact us to schedule a service. 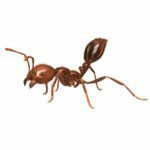 With our European Red Ant program, you can have peace of mind knowing that the experts at Modern Pest Services are utilizing the most effective treatment – guaranteed!